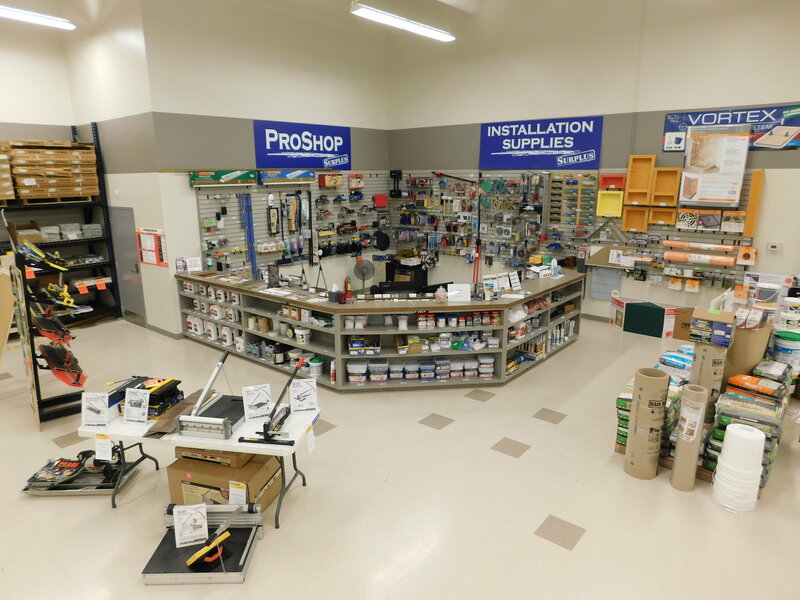 Our Proshop is the one stop shop for all your flooring installation supplies. With a complete line of tools and materials from all the major brands including Vortex tile spacers, Roberts knee kickers and Pearl carbide saw blades. If it’s an installation product, we’ll have it. Our team of experts will not only show you how to install it, they’ll ensure you leave with everything you need to complete the job right. If you subscribe to the DIY Club, you understand that when doing any installation job, choosing the right product is only half the battle. Having the right tools and supplies at hand, along with an installation blueprint will ensure the job is not only done right, but done in a timely manner. Having installation experience ourselves, we’re familiar with the frustrations of running out of material in the middle of the job. 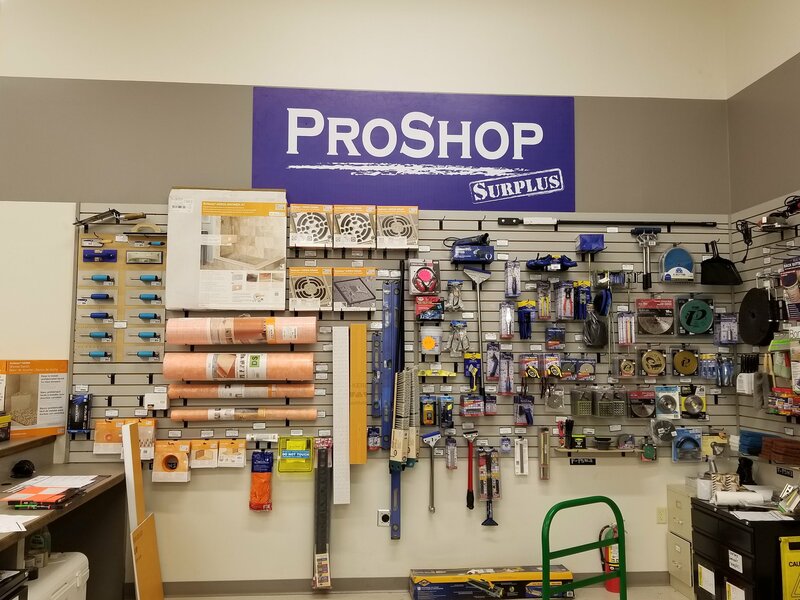 Which is why our Pro Shop is committed to not only carrying an expansive variety of supplies but also making sure you leave with what you need to complete the job. We have everything from grouts, adhesives, thinset, mortars, padding and transitions for a carpet install. Whether you’re installing hardwood, laminate, ceramic tile, or stone, we’ll have ensure you go home with the right tools and materials. We’ve put together a tools checklist for hardwood, ceramic, and vinyl installations for reference, which you’ll find on this page below. We’ve also included a few videos on some common and challenging installation that may help if you’re doing a shower or tile job. If you peruse our blog, you’ll find useful information on “all things” flooring, along with some basic installation articles you may want to find helpful. If gluing: the proper adhesive (if over concrete, make sure it has a moisture barrier built into it), and a trowel that pairs with that adhesive. You can moisture test your concrete slab with calcium chloride test found in our Proshop. We offer The Schluter®-KERDI waterproofing System that forms a bonded, watertight assembly for tiled showers. The Schluter system not only reduces installation time, it eliminates the risk of failures due to water and vapor penetration. Have a tile install job? Our Primo Vortex leveling system is an ideal way to ensure you don’t get slippage.It’s easy to use with no tools required. 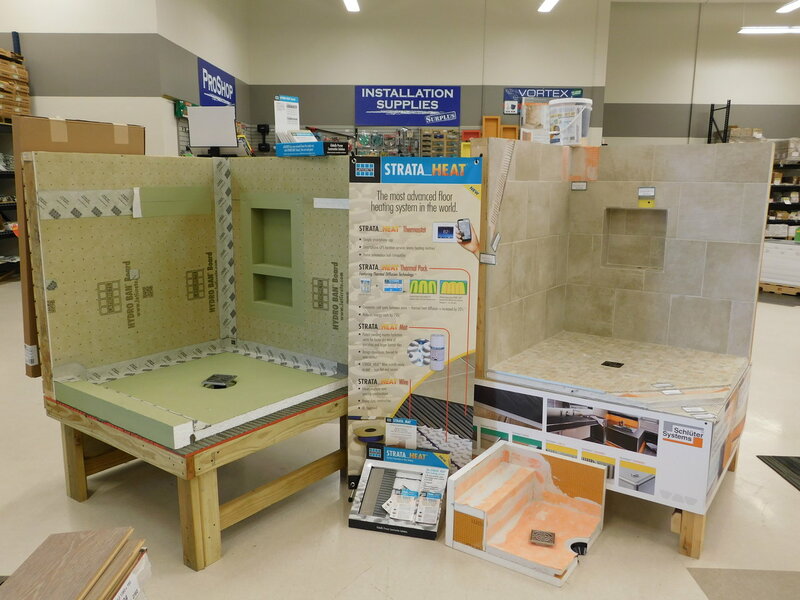 Ask our Sales Associates to show you this tile system. They’re no match for our line of Pearl saw blades. Dry cutting hard tile, stone, granite or glass, we have the right Pearl blades to get smooth chip-free cuts. Just fill in your contact information and one of our Experts will call you as soon as they're able. We have successfully received your information! We'll get back to you.